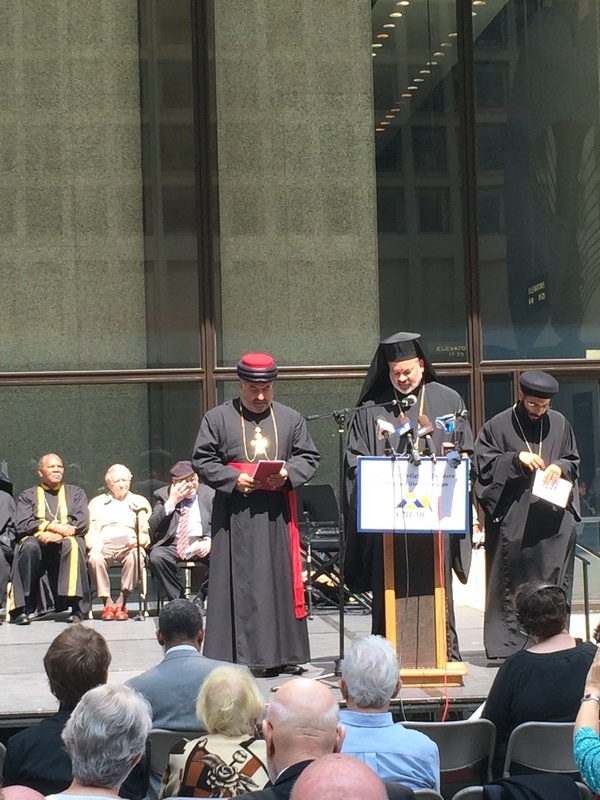 His Grace Bishop Demetrios of Mokissos, Chancellor of the Metropolis of Chicago, organized and participated in a noontime interfaith prayer service, sponsored by the Council of Religious Leaders of Metropolitan Chicago. 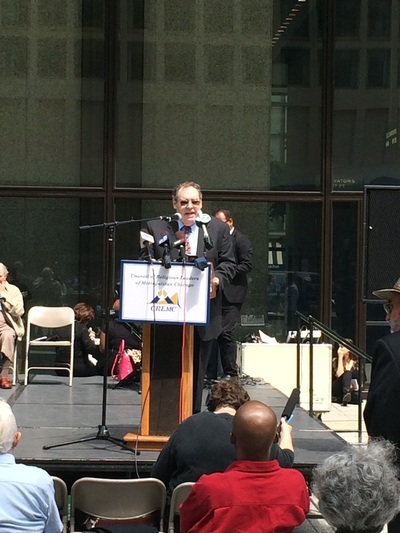 Leader’s of Chicago’s Christian, Jewish, Muslim, Baha'i, Hindu, Jain, Sikh, and Zoroastrian communities gathered together in Daley Plaza to pray for peace around the world, the nation and the city. “Right now, the world seems to be broken, and in great travail, with the situation in Gaza, and Iraq, and ISIS,” said Bishop Demetrios of Mokissos, a past president of the council. "All those places in the world have ties to Chicago, and people that live here who are members of those faith traditions," he said. "We also want to highlight the awareness of violence in our own city. The horrible violence against young people and the deaths that are occurring. ... We wanted to call people to prayer to acknowledge their own brokenness. We decided to witness that brokenness and call people to prayer so that peace might be restored."